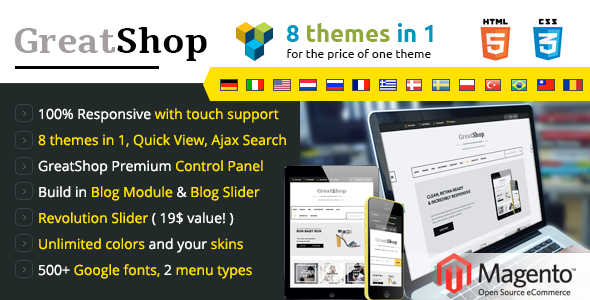 GreatShop – Premium Responsive Magento theme – 8 Premium themes in one! 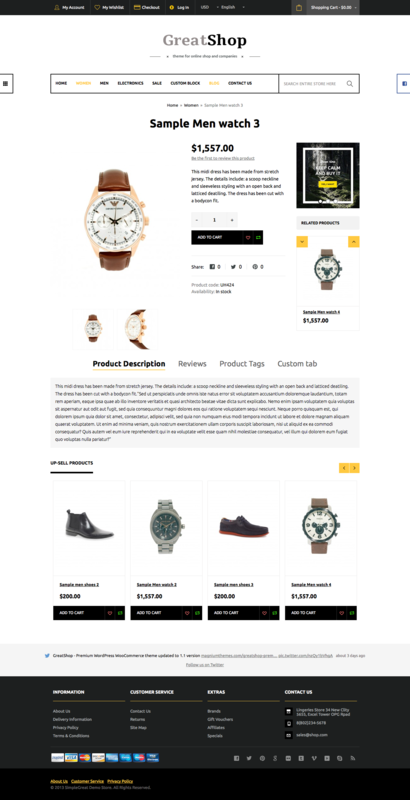 Theme compatible with Magento 1.8 – 1.9.x. And we make sure it will work with any future Magento releases.